Song of the day: Sweetchuck – "Dude You Can Do That"
Yesterday’s Song of the day was a new one by The Wellingtons, led by one Zac Anthony (Hi, Zac!). Zac may not like this, but I’m going to dredge up a part of his musical past. Before Zac became a Wellington, he was the drummer and one of two main vocalists in a band called Sweetchuck. The band only ever released one EP (in 2003). According to this 2002 interview, Sweetchuck is named after a cartoon character that was never designed. The band apparently didn’t name itself after a character in the Police Academy movies. Sweetchuck used to have a website (http://www.sweetchuck.live.com.au/) and a message board. The website’s gone but the message board still exists. I don’t know why. Sweetchuck wanted to reform last year. There’s a Swedish band called Sweetchuck. 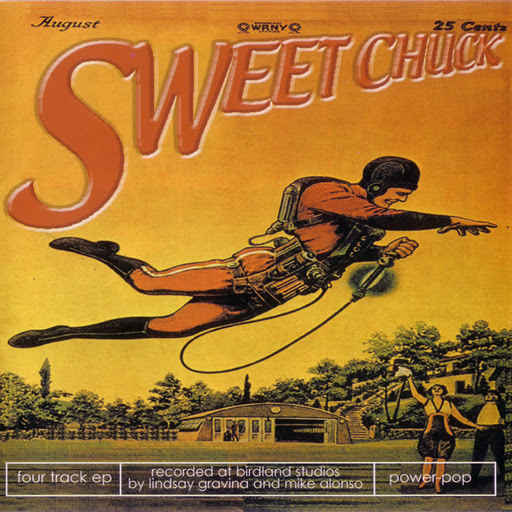 There’s a band called Sweetchuck in Newcastle upon Tyne, England. Their MySpace page address is possibly overly confident: http://www.myspace.com/fuckingreatband. You are currently browsing the archives for the Sweetchuck category.